Taste of Edinburgh, Frederic Berkmiller of owner l’Escargot Bleu is on the Peugeot stand for his first ever live demonstration: steak tartare using rosy veal. A brave choice on both accounts perhaps? Or perhaps on a mission to change the eating preferences of Edinburgh? After all, the restaurant recently received attention for serving horse meat. Fred’s passion for the veal raised with care at Sunnyside farm and the way it tastes hopefully distracted the audience away from thoughts of eating raw meat. Ably assisted by one of Wedgwood restaurant’s staff, he proved a relaxed presenter certainly encouraging me to visit the restaurant and the new “epicerie” in Broughton Street, Edinburgh. 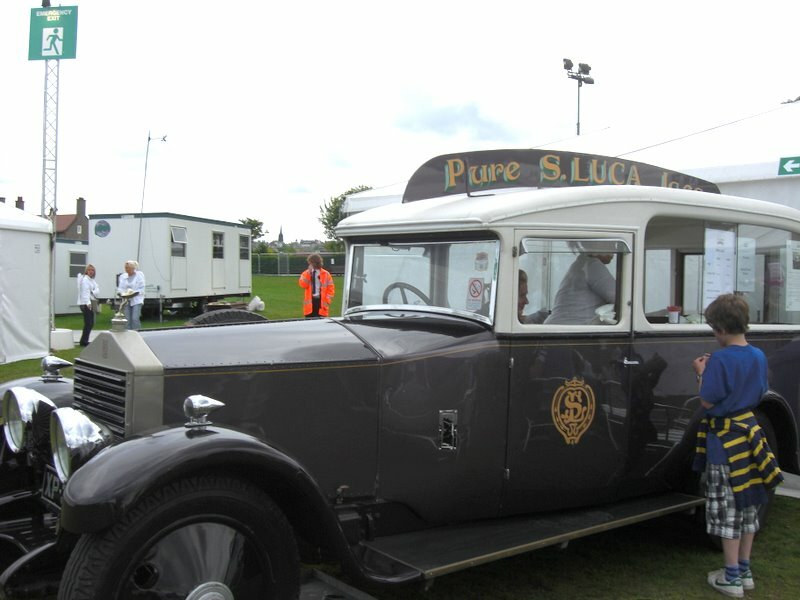 Luca’s vintage ‘van’ (aka Rolls Royce) surely must be the most elegant way to sell ice cream. 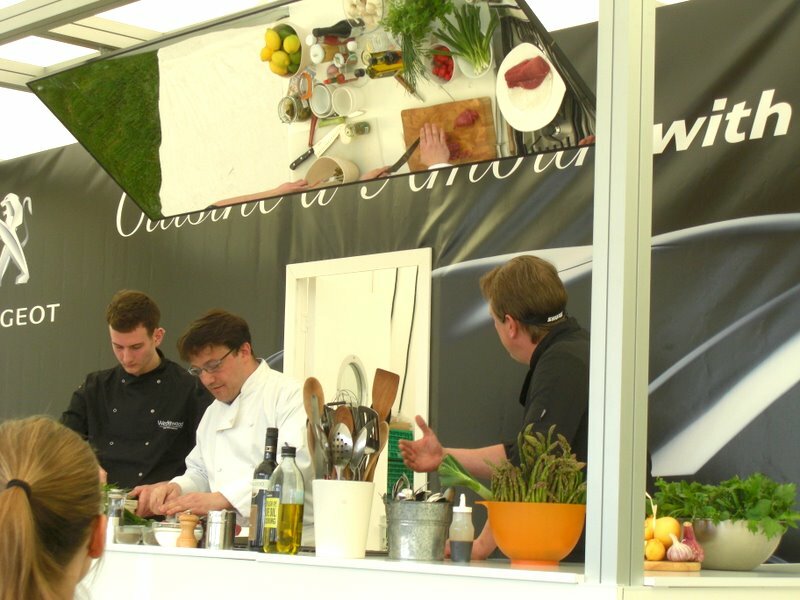 Seafood Scotland participated in the John Lewis Chef’s table events – a simple but effective idea, a large table around which the audience sat. This proved a great way to learn with topics including knife skills and making mayonnaise. 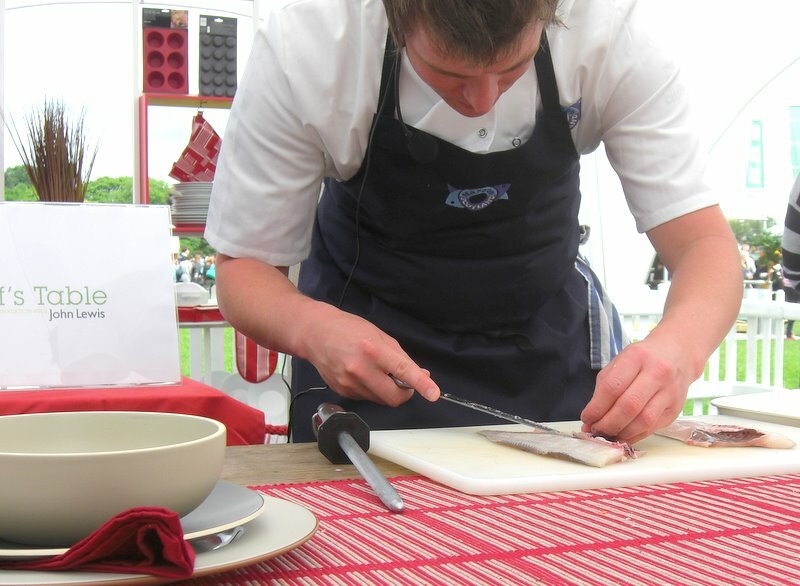 Seafood Scotland’s Eadie Manson’s made filleting round and flat fish look effortless. I wasn’t so sure about him suggesting cooking langoustine for 1-2 minutes in boiling water then grilling them! Incidentally, they have produced a great guide to Scotland’s fish. The guide is a little difficult to find, but worth the trouble. Choose one of the categories at the bottom of the Species page on the Seafood Scotland website to find a list of fish. What could we do to make this event a true celebration of food in Edinburgh? A missed opportunity I think! Last updated by Bread Baker Danielle at April 2, 2013 .